While the rich are growing richer, their generosity is getting poorer — not just compared to those earning much less than them, but compared to what they gave in years past. It’s old news that Toronto is the income inequality capital of Canada. Each year, the gap between our richest citizens and our poorest keeps growing. In 1970, six out of every 10 neighbourhoods were middle class. By 2015, fewer than three in 10 were. If this trend continues, we’ll all live either in a gated community or a slum. What is news is that Canada’s richest citizens are the stingiest of all in giving their money to charity. In other words, the better we do, the less we give — and the less we give, the less chance we have of making Toronto a single city for all of us. That’s my conclusion from reading this year’s Vital Signs Report, the annual report card on the state of our city released yesterday by Toronto Foundation. There are no figures broken out by city for charitable donations, only national ones. 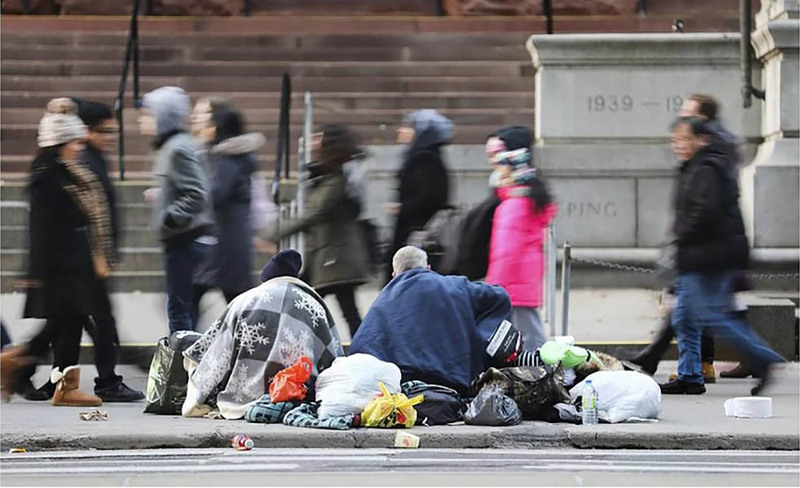 But if Toronto is Canada’s richest city and home to so many of Canada’s richest people, and the city with the greatest disparity between rich and poor, I have to believe that what’s shockingly true for Canada, is likely even more so for Toronto. But underneath the accolades lies the potential for the great unwinding; because the people most able to help may well be the least inclined to do so. It seems those of us earning less than $50,000 a year give 2.3 per cent of our gross income to charity each year. Those of us earning $100,000 are giving 1.6 per cent away. Even those earning $800,000 donate only 2 per cent to charities. Worse still, while the rich are growing richer, their generosity is getting poorer — not just compared to those earning much less than them, but compared to what they gave in years past. In the decade from 2006 to 2015, Canadian families making $150,000 to $199,000 rose by 8.1 per cent; those making $200,000 to $249,000 rose by 10.2 per cent; and those making $250,000 or more rose by 8.4 per cent. But while their giving rose, that bump not only didn’t keep pace with what they now earn, the growth actually declined. Worst of all, the top three income groups are responsible for the greatest decline in average donations over the past decade. The surprising thing about this is that it isn’t surprising at all. Study after study shows that the most charitable people in Canada, America and Europe are not the upper class, not the upper middle class, and not the shrinking middle class. It’s the lower middle class, that is to say families (not individuals, families) with a household income of $50,000 or less. Psychology Today recently reported a study where participants were each given $10, then given the opportunity to help a person in need. Those who made $25,000 a year gave away 44 per cent more of their money than those making $150,000 or more a year. I don’t know the reasons for this. But I can guess at the implications: not just more inequality, but less empathy. Earning more is fine; giving less is not. So, come on, rich people. Do you think you got rich all on your own? That your city doesn’t play a role in your happiness? That your nation is a supermarket and not a community centre? That your hip bone’s not connected to your thigh bone? Bob Ramsay is a communications consultant and founder of RamsayTalks.